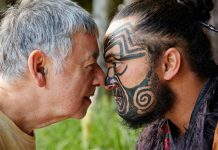 Welcome to the next instalment in a series of articles from Cruise Advice in which we showcase some of the best cruise destinations around the world. 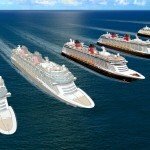 Here, we will share some information about where you can cruise if joining a ship from these ports. As well, you’ll find some recommendations on how to spend a few days seeing the sights before heading to the port or after you get back. 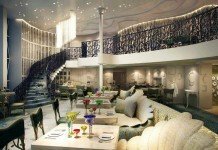 Often assumed by cruisers as little more than the home of Disneyland and Hollywood, Los Angeles is beginning to develop a reputation for itself as an excellent spot to set off on a cruise, with new itineraries added and refurbished ships coming to bask in its sunshine. The city is also seeing a rejuvenation of its traditional sprawling tourist neighbourhoods as well as a dramatic shift of its downtown core. The Greater Los Angeles area is home to close to 19 million people, so it’s clear why the City of Angels is offering so much and shaking its sketchy past to offer new and refreshing things. 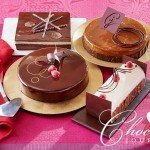 How can I get to Los Angeles? Los Angeles’ main airport is well known by its three letter code LAX and is where airport officials say is “the worlds crossroads”. The city is served by almost every major airline in the world. From Australia, five different airlines – Qantas, Virgin Australia, American Airlines, Delta Air Lines and United Airlines – flying directly to Los Angeles at least once daily from Sydney, Melbourne and Brisbane. Most passport holders from Australia and New Zealand are eligible for the United States ESTA Visa Waiver program, providing them with access to 90-day stays in the USA. Before travelling to the United States, passengers are required to complete a pre-authorisation in order to ensure entry will be granted. This includes passengers who are only visiting the U.S. as a day call on cruises and will not be done by the cruise line on your behalf. The cost to apply for an ESTA is currently US$14 for all passengers regardless of age. 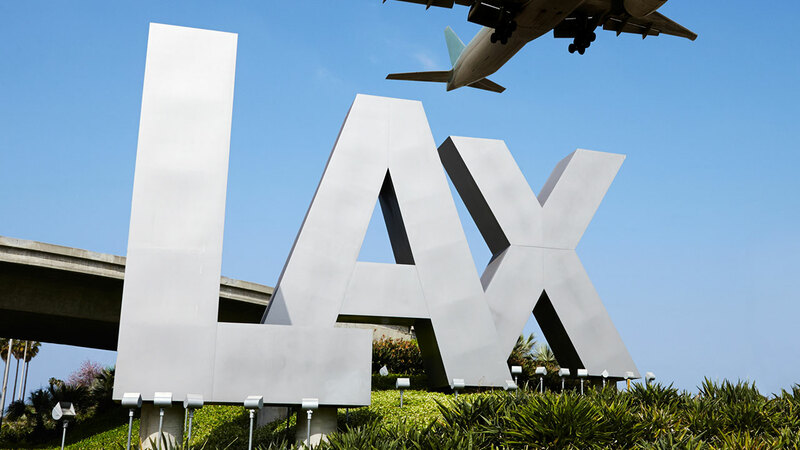 The iconic LAX sign welcomes visitors to Los Angeles International Airport. Where can I cruise to from here? Positioned on the Southern Californian coast, Los Angeles provides a great jumping off point to Mexico, Central America and the California Coast. A range of itineraries are available from LA ranging in length from three nights all the way up to 111 nights, however most are around 7-14 night itineraries. 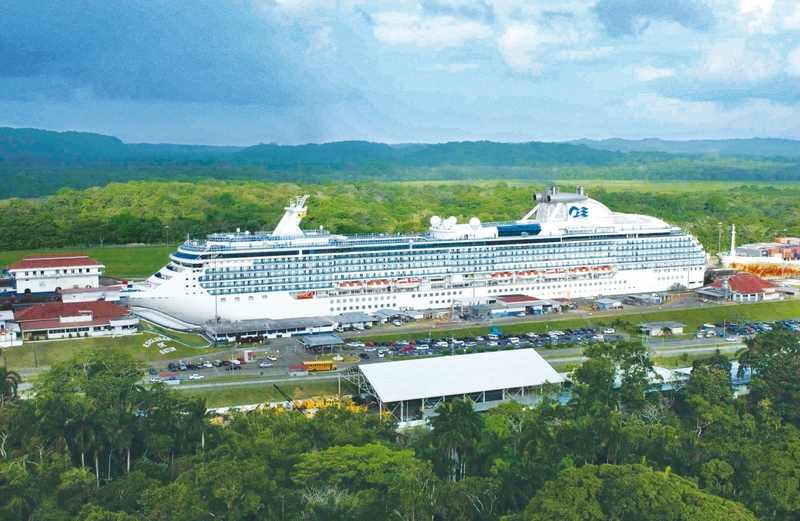 At the other end of the cruise, Los Angeles also serves as a disembarkation point for many Panama Canal and Pacific Coastal cruises, with lines such as Norwegian Cruise Line and Princess Cruises regularly scheduling such voyages. 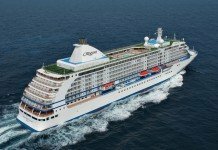 In addition, 2017 will present multiple options to cruise from Australia to Los Angeles, with passengers able to board in Sydney in April aboard Emerald Princess for a “Trans-Pacific Treasures” voyage that calls along the way in New Zealand, American Samoa, Tahiti and Hawaii before reaching Los Angeles. Guests can also embark on the same itinerary but travelling in reverse with sister ship Golden Princess undertaking a similar voyage in July. 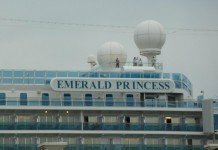 Golden Princess arrives in Los Angeles from Japan and Alaska on a 50-day circle voyage from Sydney which covers much of the Pacific Ocean through Asia, so passengers looking for something other than Trans-Pacific are in luck. Coral Princess in the Panama Canal. Which ships will I find sailing from Los Angeles? 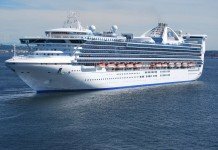 Los Angeles regularly sees Crown Princess, Coral Princess, Pacific Princess, Star Princess, Ruby Princess & Island Princess from Princess Cruises, running voyages of different lengths north to Vancouver and Victoria Island, west to the Hawaiian Islands but more commonly south to Mexico. These voyages visit ports including San Diego, Cabo San Lucas, La Paz, Loreto, Puerto Vallarta, Mazatlan and many more. Some voyages available from Princess include one-way journeys from LA to Florida, which include passage of the Panama Canal. 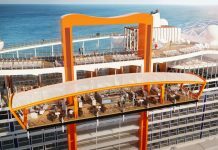 For those travellers enthusiastic but unsure about Mexico as a destination, a cruise could be an ideal way to do so. 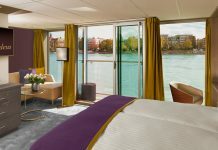 Similar voyages are also available from Norwegian Cruise Line, with Norwegian Jewel often running seven-night round-trip sailings to Mexico from Los Angeles. 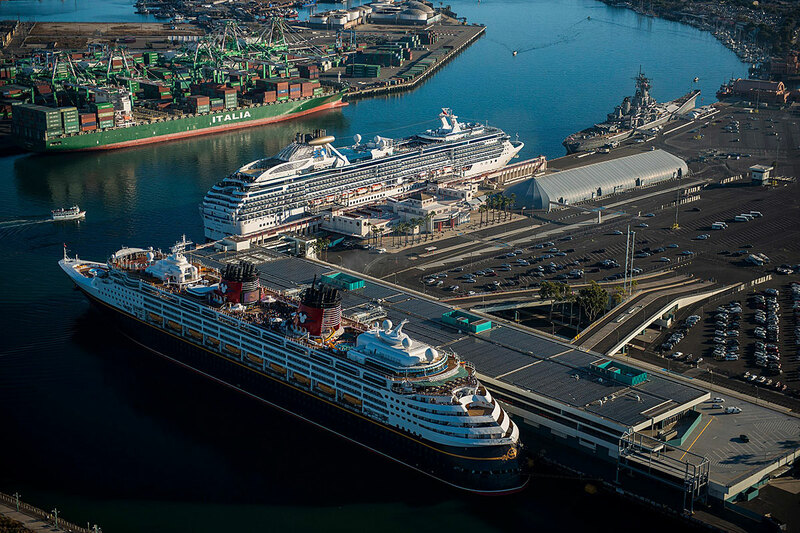 From the Carnival Cruise Line stable, Carnival Imagination, Carnival Miracle and Carnival Inspiration all sail from the Port of San Pedro – just across the Long Beach harbour which is home to famed former Cunard ocean liner Queen Mary, now on permanent static display. 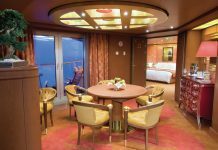 These can often be some of the best value cruises – you can sometimes snap up a cabin on a quick three-night Mexican getaway to Ensenada from as little as US$99 per person. The port also plays host to occasional visits from Oceania Cruises’ Insignia, Cunard’s Queen Victoria, Norwegian Sun from Norwegian Cruise Line and Celebrity Infinity from Celebrity Cruises in addition to many ships relocating to and from Alaska at either end of the season. Where is the best place to stay in LA? 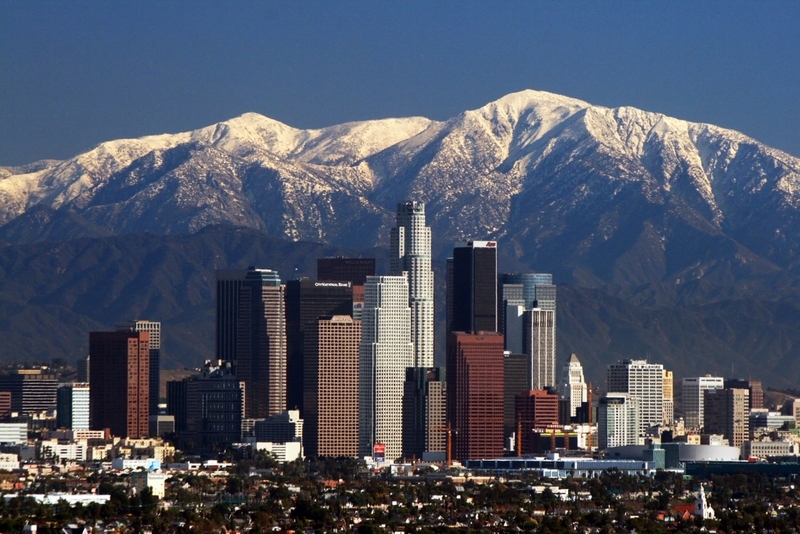 Which part of Los Angeles that may be best for you can be largely dependent on how long you are looking at staying in the city at either end of your cruise and how much of the area you wish to see. 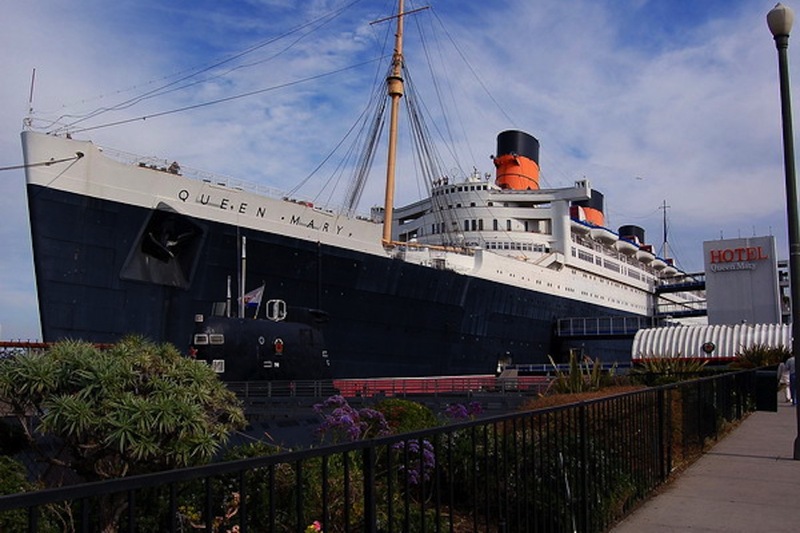 If you’re keen to keep cruising solely as the focus of the holiday, a great option might be basing yourself close to the cruise terminal at Long Beach with the aforementioned liner Queen Mary now serving as a floating hotel. Elsewhere, a plethora of accommodation options exist in Santa Monica, Beverly Hills, West Hollywood and Hollywood itself, across a range of price points. 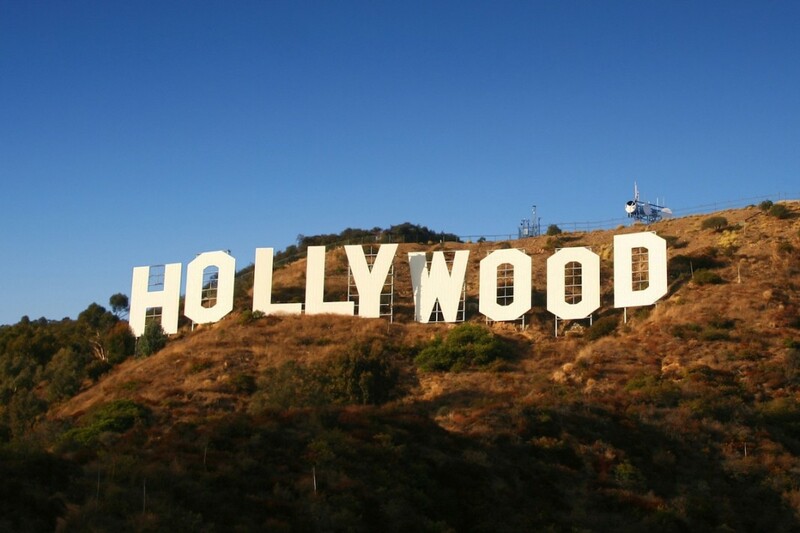 Many of the city’s top tourist attractions, such as the Walk of Fame and Universal Studios lie close to these popular suburban enclaves. Downtown offers a wide selection of hotels however these are more business friendly and their tone is more corporate than cruisey. 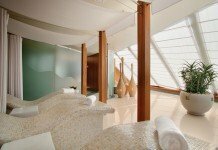 It’s important to note that all the above options are a considerable distance away from Disneyland, located an hour south of the cruise terminal. However if a few days of magic at the “Happiest Place on Earth” is on your itinerary, a wide selection of accommodation options exist in Anaheim or in nearby Huntington Beach, which sits between the two major centres. Despite the recent opening of a light rail system which links downtown Los Angeles with the beachside Santa Monica, public transport in Los Angeles can be problematic to navigate for tourists. Shared ride services are plentiful between the airport, most hotels and also to and from the cruise terminal, but if you’d prefer your own transportation, consider renting a car, utilising taxis or Uber. What can I see and do before boarding my ship? If you can’t find something bedazzling to do in Los Angeles, you’re not looking hard enough. 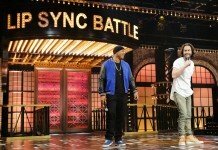 Staples on every tourist’s list include celebrity spotting in neighbourhoods like Beverly Hills and Malibu with seemingly everyone from music legend Lionel Ritchie to actress Emma Stone being spotted on a recent day Cruise Advice spent in the neighbourhood. 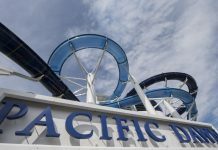 Walking the Santa Monica pier will give you a unique taste of America and it’s kooky carnival atmosphere, in addition to providing you with a chance once again to indulge your tastebuds at any of the funky eateries that pop up on a seemingly daily basis in the beachside suburb. 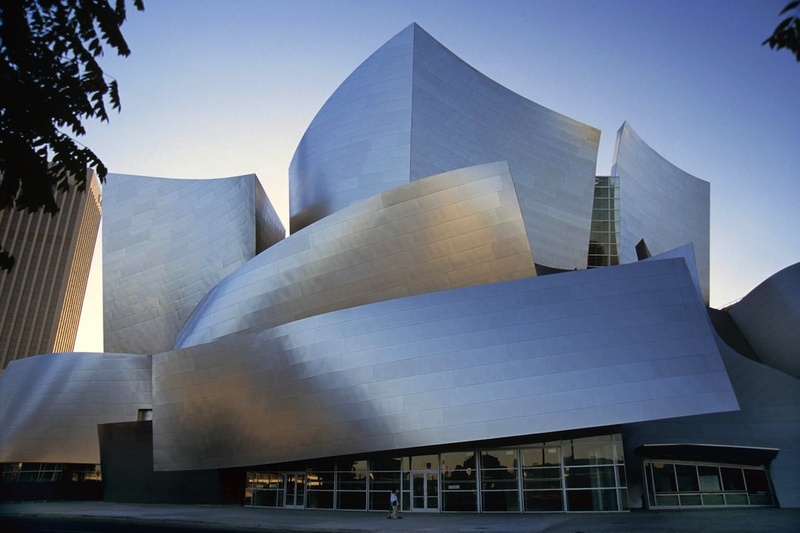 At the other end of tow, a concert at the Frank Gehry designed Walt Disney Concert Hall highlights the status of the city as the world’s culture hub. Precede this with a meal at Grand Central Market – another celebrity haunt – which dates back to 1917, and your tastebuds will thank you with dozens of vendors showcasing cuisines from around the world. Should your stay in the city coincide with the second Thursday of the month, venture downtown to Spring Street and take in the “The Downtown Art Walk” – the walk which sees a seven block corridor transform into a public art phenomenon which sees ordinary daytime merchants like hair salons and Asian grocers convert into avant-garde art galleries by night. And of course, while it is about an hour away by road, nearby Anaheim is the home of Disneyland, where families can easily spend 3-4 days exploring two Disney theme parks and the nearby Knott’s Berry Farm. 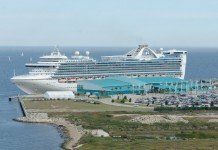 Two cruise ships dock at Long Beach ready to venture to sunny shores nearby. 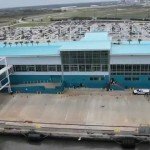 What can I expect in the cruise terminal itself? Using LAX as a point of reference, The Port of Los Angeles is a short 35 minute drive away and once you’re there, it’s a straightforward process through immigration and onto the ship. Make sure you’re at the World Cruise Centre as this is the correct facility. If you’re at the Catalina Sea & Air Terminal, that is a ferry terminal serving nearby Catalina Island. 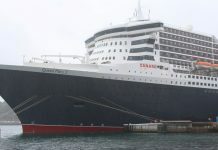 As long as you’re at the right port, there will be sufficient signage directing you to the appropriate check-in desks for your particular sailing. 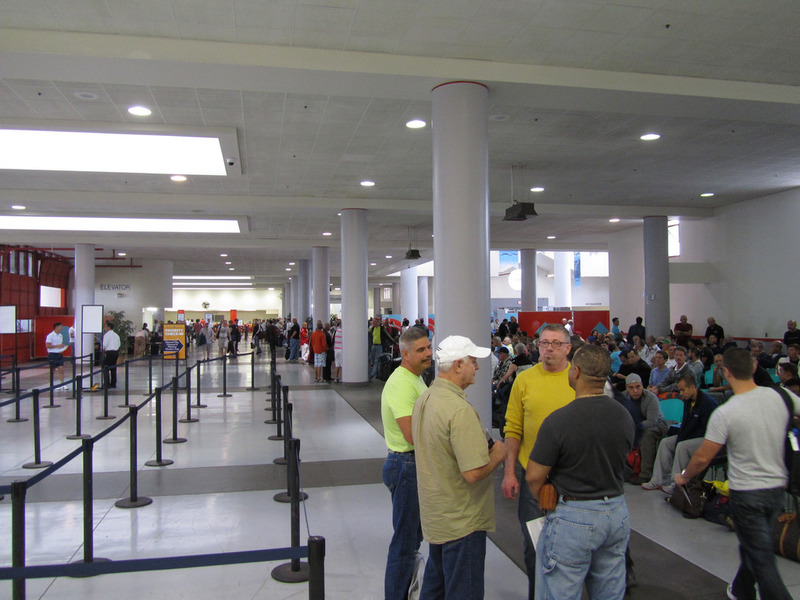 The World Cruise Centre has three berths and three passenger processing areas across two terminal buildings. World Cruise Centre in Los Angeles is a modern facility with expedited services to get passengers on their ships quickly.